Is Johan Camargo an Option for the Padres? 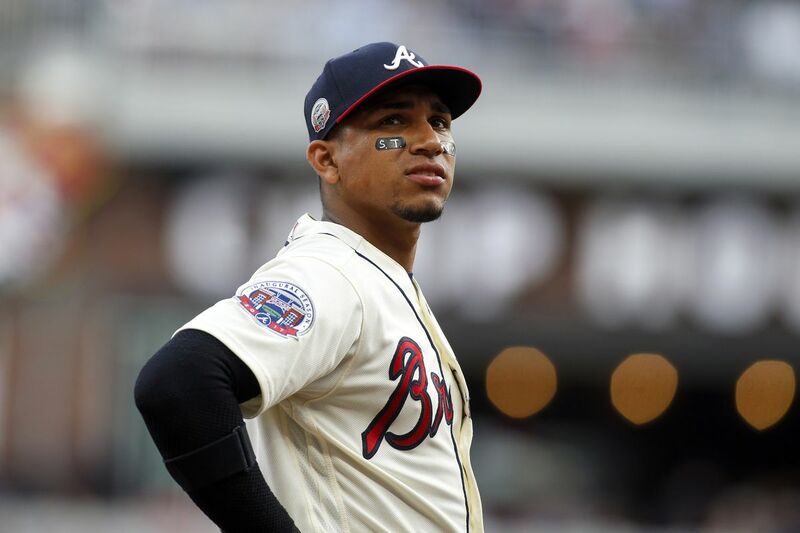 Should the San Diego Padres contact the Atlanta Braves about the availability of infielder Johan Camargo? The Padres need infield help and have a surplus of outfielders, which is something the Braves covet. 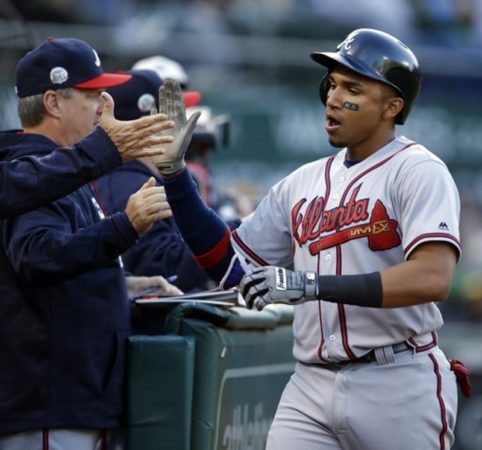 Johan Camargo began his baseball career as most young international baseball players do at the age of 16. He signed for a total of $42,000, and after missing the following year due to injury, officially began his march towards the majors in 2012. In his inaugural season, Camargo put up an impressive slash line of .343/.433/.455. After that first taste of baseball in the United States, he bounced around the Braves’ minor league affiliates and steadily began to move up the ladder. Halfway into the 2017 season, he got his first call to “the show”. Filling in for the injured third baseman, at the time, Adonis Garcia, he quickly started to lay claim to a spot on the major league roster. As Garcia came back off the DL, we saw Camargo slide over to shortstop to fill in for the slumping former number one overall pick, Dansby Swanson. In 252 at-bats, across multiple infield positions, Camargo put up a line of .299/.331/.452 in 2017, which was impressive, to say the least, for any young player. Something that drew concern about Camargo was a large variance between his BB % and K%. His 4.7 BB% versus his reasonable K% of 19.9% was fine for a young player, but for someone who desired a longer stay in the big leagues, work needed to be done. 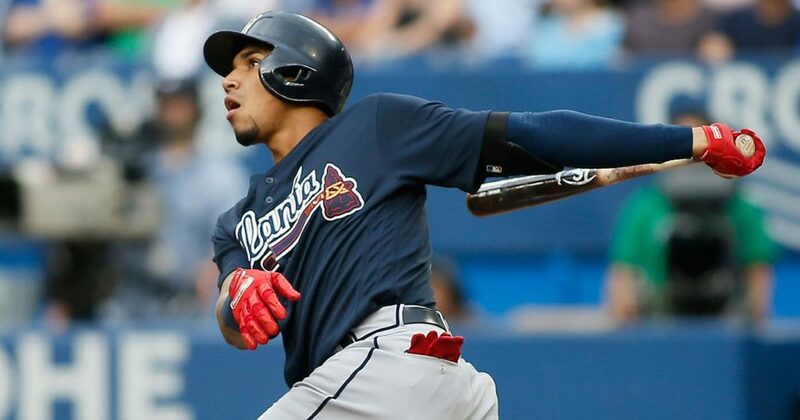 And with that being said, Camargo entered the 2018 season with expectations and question marks abounding. Was he a part of the future for the Braves or a depth piece to supplement the roster? He had moved off of the middle infield positions in the minors in deference to other talented players that played those positions, namely Ozzie Albies and Swanson. So moving away from shortstop and second base was nothing new for him. He found himself a home at third base during the 2018 season and really never gave it up. Helping him achieve this was a renewed batting eye that allowed him to be more discerning at the plate. Now over a full season of AB’s, with 524 of them, he put up a .272/.349/.457 line, and even more impressive was his increased BB% of 9.7% while maintaining his K% at 20.6%. When you can see growth in this area for a young ballplayer, it portends the ability for future success and continued adjustments. Now you may be wondering why the Braves might be interested in trading Camargo, and the answer is two-fold. The depth on the major league roster and certain needs point us in this direction. Especially after the bombastic signing of the “bringer of rain” to Atlanta. New Braves’ GM Alex Anthopoulos was the same general manager who traded for Josh Donaldson from the Oakland A’s when Anthopoulos was in Toronto. Health aside, Donaldson will be the Braves’ starting third bagger. On top of this, the Braves currently have MLB.com’s #41 overall prospect and #3 overall third base prospect, Austin Riley, who lit up Triple-A pitching to the tune of .282/.346/.464 at 21 years of age. With Riley being close to major league-ready and a former MVP candidate on the current roster at third, Camargo will either be turned into a Ben Zobrist/Marwin Gonzalez type of player or Anthopoulos will look to cash in on this asset and look for a young corner outfielder to take over for the aging free agent, Nick Markakis. It just so happens that the Padres are carrying a surplus of outfielders. The Braves and Padres could match up well on a trade with a young outfielder and bullpen help heading back to the Atlanta for the young third baseman. The hot stove is starting to heat up….let’s get a cooking! Renfroe and Stamen for Camargo. What’s a bigger need for SD, a quality 3B or a shot at Thor without having to give up any of our big time prospects? The way I see it, NYM wants Kluber to replace Thor. 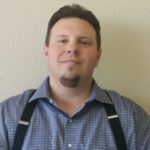 They need a team like SD to get involved. Both teams want an OF and the Mets need a C. So we might need to deal 2 of our OF, 1 to Cle and 1 to the Mets along with 1 of our 2 Catchers to the Mets. An additional high but not elite tier pitching prospect like Quantril would likely also go? Gets us Thor but we can’t deal another OF. Another thread had us dealing Yates and another reliever for Cammargo? Adds us Thor, Cammargo and leaves our Farm pretty intact. Built to win now and the future. Especially if we can add Kikuchi or deal for Grey? Yates and Renfroe is too much for Camargo. Renfroe straight up might make sense. If you include Yates, more needs to come back to the Padres. I agree with Greg… Yates and Renfroe are too much for Camargo. We need a masher at third. I like Camargo on the short term at short, but one Tatis comes up, he is all but a utility infielder.